Social media has turned into a customer service channel, and the top social media sites are making changes to accommodate that for businesses and their customers. One of the most recent updates came from Twitter – they have now allowed users the ability to send direct messages to anyone, even if they are not following them and vice versa. This is good news for businesses – often times, customers want to get help on a company’s social sites, but don’t necessarily want to be connected to them through a like or follow. When this happens, they are only able to post publicly on the company’s Twitter page and hope for a response. If their issue requires communication of personal information, such as an account number, the customer will likely end up calling the company, which negates the efficiency of social customer service. This new change will help customers and businesses alike – that is, if companies are ready for it. One little known fact is that, while making this change, Twitter also needed to respect the privacy of those that do not see this as a welcome change. To that end, while they have allowed the direct message capability on their site, users need to activate it so that it can be used. By default, this is a setting that is not automatic. 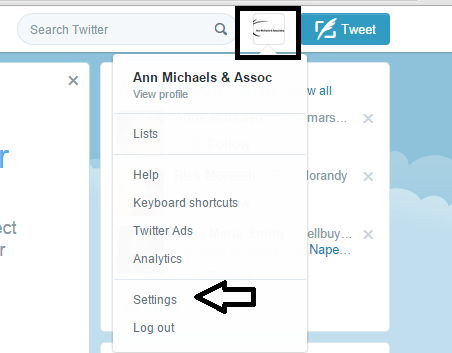 It’s time to take a quick check of your company’s Twitter settings to make sure you allow everyone to send direct messages, whether they are followers or not. It’s a simple process and will only take a minute to set up. 2. On the next page, you’ll see options on the right side of the page. Choose “security and privacy” to update your direct message capabilities. 3. 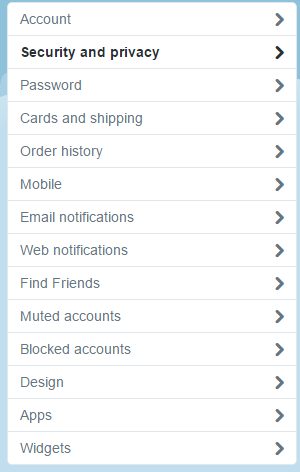 Once there, you’ll need to scroll all the way down the page to find the option for Direct Messages. You’ll see that by default it is unchecked, meaning that only your followers and those you follow can send you a private message. Simply check this box and you’re all set! That’s all there is to it! Taking a second to open up the communication channels can go a long way with your social customer service!